I received this comic (or maybe half-manga) from Netgalley in exchange of an honest review. I just LOVE LOVE LOVE The Nightmare Before Christmas and so I was very much excited when I spotted this one on Netgalley. 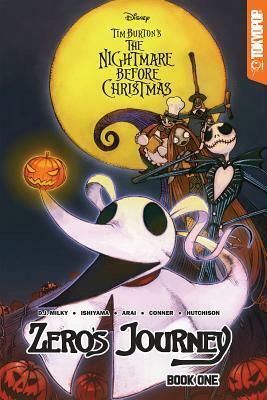 This one chronicles the adventures of Zero, the adorable ghost dog of Jack Skellington (eeeeee!). We see how Jack is once again struggling to come up with something for Halloween (I say again, though at that time I didn’t know this one was a brand-new story, but later on we get confirmation through a story told by someone in Winter/Christmas town, that this one takes place after the movie), Zero is trying all he can to cheer up his owner, which I found adorable! Pets really feel that their owners need some love and care (my hamsters also do the same). Sadly, things go from awww to OMG as Zero get outside and gets lost! I just loved seeing Christmas/Winter Town again, and also loved that they had forgiven all that Jack (and the monsters) did (though they do seem to have some leftover resentment). I am happy that Zero was able to find someone who took him in and that they could help him out. Of course, Zero isn’t the only character we see, we also get to see how Jack is faring now that Zero has left, how the town is doing (eeeeee, seeing all my favourite characters again and of course that awesome town). Poor Jack though, he is seeing that he did neglect Zero with all his busy Halloween planning. I was a bit confused, Zero seemed such a nice pup, but as soon as the story told by the lady who took him in is over, he gets to all sorts of naughty things. 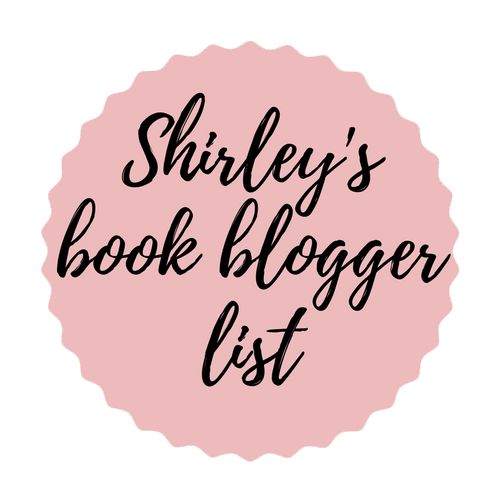 Eating food, creating mischief, and other things. I thought this one would be a single volume, but given the ending I am guessing there is going to be more of Zero’s journey. On the one hand I am sad, on the other hand, this means I will have much more NBC to read! Yay! The Cover Gallery and Concept Gallery were such nice additions! The art was pretty nicely done, I really love the style, it fits so well with the NBC world that I know and love from Tim Burton. All in all, I hope that the second volume will come out soon, I need to know if that trio can get Zero back (without too much naughtiness), if Zero can escape, and if everyone can find their way home again. I can’t wait for Jack and Zero to reunite again. ★★★1/2, Christmas, Comics, Dogs, Extras, Halloween, Halloween 2018, Holidays, I See Dead People, Manga/Light Novel, Octarine, October Horror Mystery Month Fest, OMG! It's an ARC!